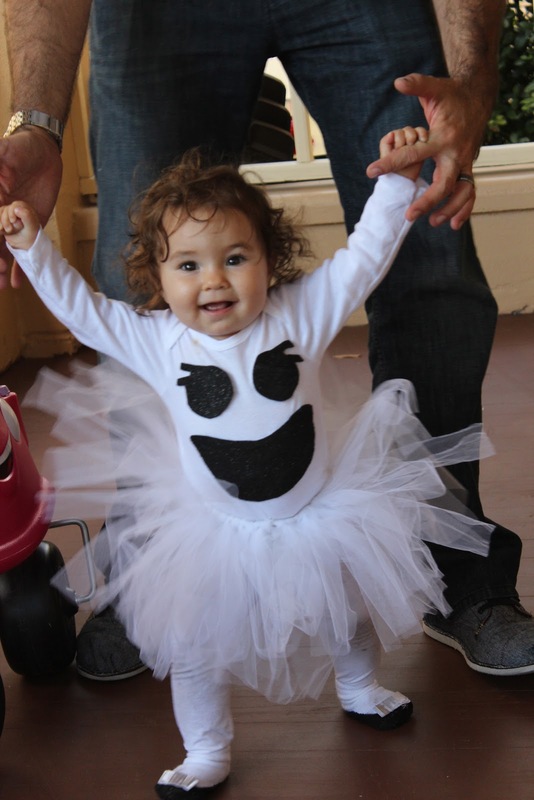 Happy Halloween from the scariest cutest ghost in town. This weekend we enjoyed our first Halloween party as a family. The weather was perfection and tiny enjoyed every moment. But more than anything else, she got her first taste of freedom. Of course not without a lesson in safety first. Oh Papa, you are in so much trouble. 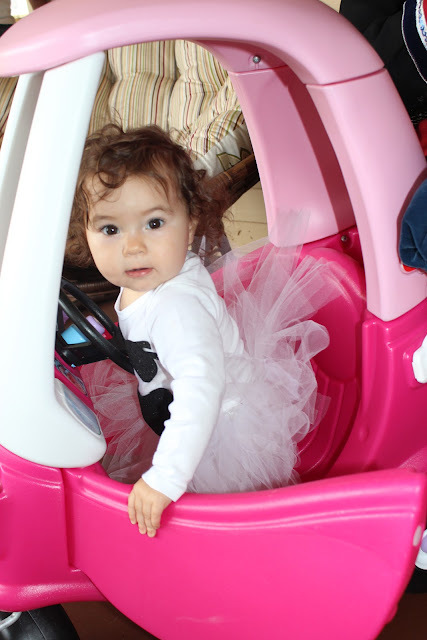 Even though she can only go backwards, it didn't stop her Fred Flinstone feet from trying. And freedom never felt so good. We were in amazement at how well she got around...even when her feet barely touch the ground. 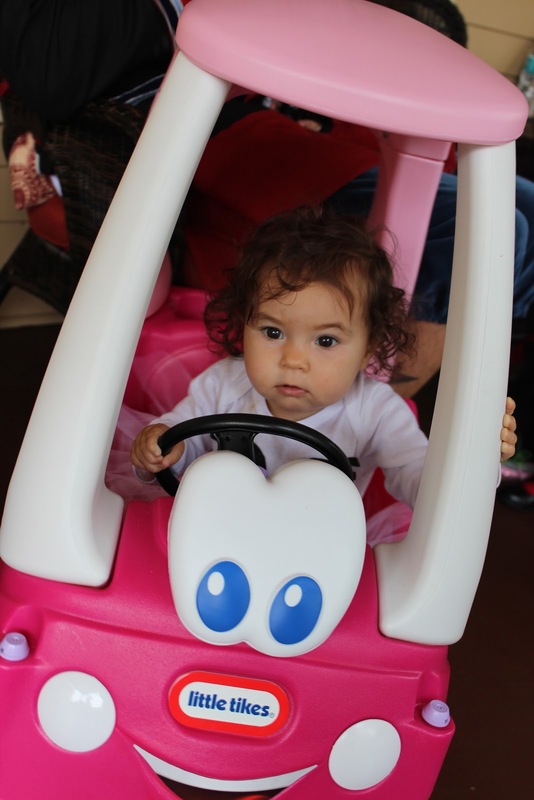 I must say I dread the day 16 years from now when she really is driving. As parents, you wait for so long to hear what your little one's voice will sound like. and then you try with all your being to catch it on tape. It sounds easy, really it does. But I have quickly learned that babies typically don't perform on demand. and of course I had to share. So sit back, relax, maybe grab a few kernels of popcorn, and enjoy the show. I can't wait to show you my latest creation today. and every garden needs a mossy letter. It truly was the easiest (though not exactly the cleanest) project I have ever attempted. 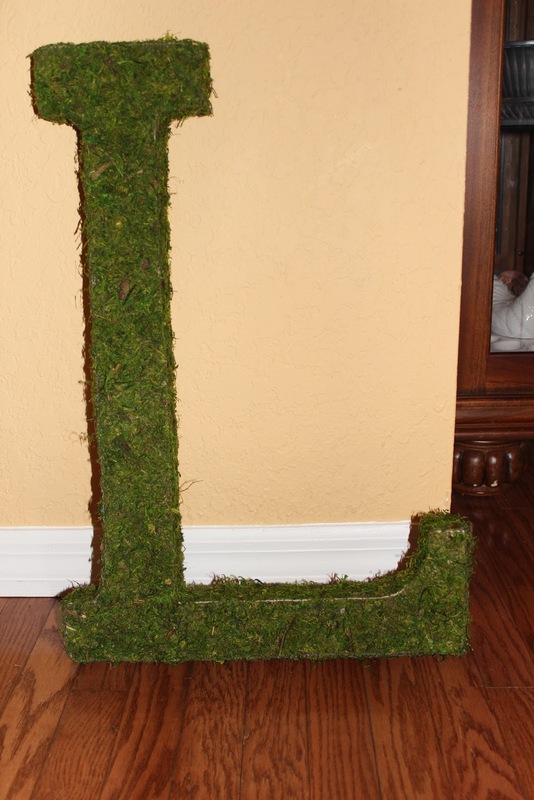 I purchased the letter, and a roll of instant moss and that was it. To start, I simply traced the letter onto the moss with a sharpie pen. Luckily my letter fit right onto the moss but even if yours didn't it would be easy enough to do. Next I cut out the tracing. 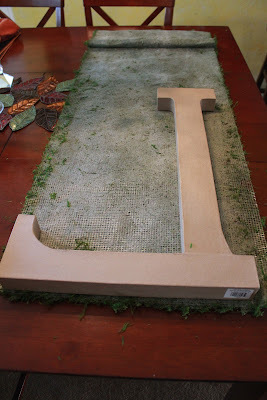 but it was easy peasy...I just generously put the glue along the letter and applied the pre-cut moss. 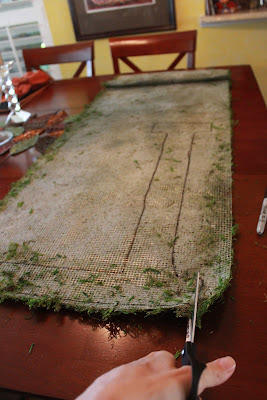 Next I measured along the sides of the letter and cut stripes of moss to fit. 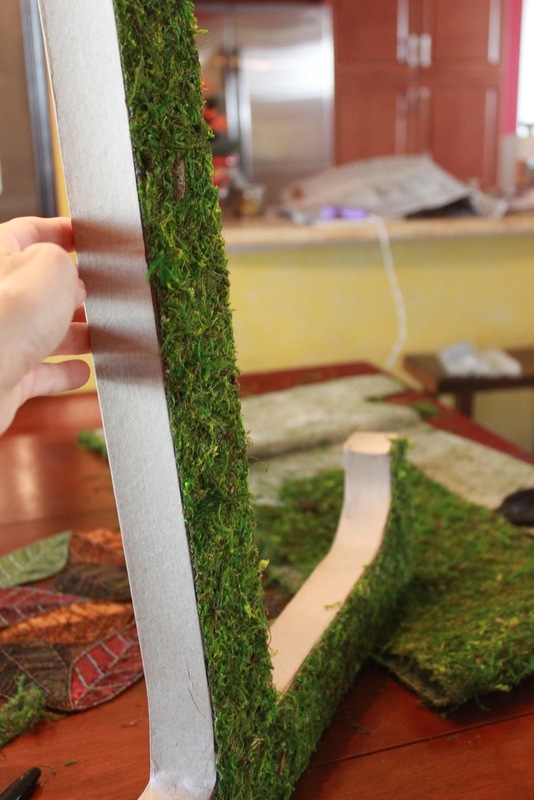 and each moss piece blends beautifully into the next. It sure beats Pottery Barn's $80 version. As a matter of fact, I spent $16 dollars total to make this. So what are you waiting for...go get yourself a letter to decorate. and I have been Oh so excited to see how she will do with her own personal cake to smash. I think she is going to LOVE the cake just as much as I am going to love watching her. November 24th can't come soon enough. I talk a lot on here and to my family, especially my own Mother about how since having Tiny I have developed a tendency to worry, much more than I ever did before. whoever did really hit home, for every Mother out there. Perhaps the worrying will never end...but at least I'm not alone!